Glaucoma is one of the most common eye conditions and is the second-leading cause of blindness worldwide. It is estimated that 6 million people are blind in both eyes because of glaucoma, and more than 3 million people in the United States alone have the disease. Glaucoma is considered a group of eye conditions that affect the optic nerve, a vital component to good vision and eye health. While glaucoma can occur at any age, it most commonly affects older adults. Unfortunately, the most common form of glaucoma comes on without any warning signs. The majority of patients do not notice any change in vision until the condition has advanced. This is just one of the reasons why it is so important to see your Keller eye specialist on a regular basis. 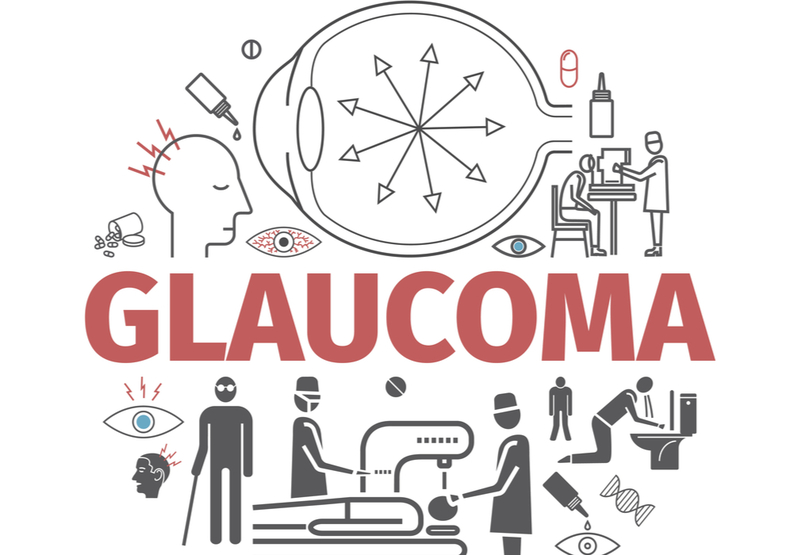 Glaucoma causes irreversible vision loss, so seeing an eye doctor who will take measurements of your eye pressure several times a year is your best chance at slowing or preventing the disease. In most cases, glaucoma is caused by a fluid buildup inside the eye. When the eye does not drain as it should, it can increase the pressure inside the eye. This increase in pressure causes damage to the optic nerve, resulting in vision loss and eventual blindness. In some rare cases, patients can develop glaucoma with normal eyes pressure – this is referred to as “normal-tension glaucoma.” This happens when the optic nerve is weak or does not receive enough blood flow. Typically, people with advanced open-angle glaucoma will notice one or more of these symptoms. If you do notice any of the above, please contact your Keller eye doctor at First Eye Care today and schedule an appointment. Prescription eye drops – The medicine in prescription eye drops can help reduce the amount of fluid in the eye, promote fluid drainage, and relieve pressure inside the eye. Surgery – Another way to drain the fluid from the eye is through laser or traditional eye surgery. To learn more about glaucoma and what you can do about it, please contact our Keller eye clinic today.